Punches on the Pitch: Is Social Media to blame for recent adversity in football? On the 10th March 2019, the City of Birmingham awoke nervously; excitement pulsing through veins as the buzz of ‘Derby Day’ filled the air. Birmingham City vs Aston Villa at St Andrews; naturally one of the most important games of the season. A fixture that has the ability to fill us all with the utmost excitement and dread, somehow at the same time, was upon us. The ‘Second City Derby’ is unarguably one of the biggest in English football. The weeks building up to it sees many a heated conversation around the city between family, friends, co-workers and even strangers online. It’s an indescribable tension that goes beyond standard banter, with both camps fully aware of what that priceless ‘W’ will bring. The bragging rights, the glory, the sheer joy of getting one over on our biggest local enemies and widening the gap in the table. It’s all to play for, and the fierce rivalry comes out in unbelievable force when the big day finally arrives. A sense of tribalism, like no other, ignites within every fan and builds that unbeatable passion inside them to an almighty crescendo. For the first time in many a season, the Blues were above us in the table and in good form, posing more of a threat than we’d seen for years. The reverse fixture back in November provided us with a 4-2 win and glorious memories for a lifetime. Super Jack scoring his first goal in a derby to put us 1 ahead followed by Alan Hutton living up to his namesake of the Scottish Cafu, picking up the ball in his own half, carrying it through the entire Birmingham City defence, smashing it into the net and diving into the Holte End as cheers of disbelief rang out around Aston. So safe to say, hope and expectations were high and the desperation to keep our 14-year winning streak against them going was mounting. We all expected plenty of fouls, anger about decisions from the officials we mightn’t agree with, fan clashes outside of the ground and all the other standard ‘Derby Day’ antics that inevitably occur when emotions are fizzing and apprehension is rising. But none of us expected what was actually to come: a cowardly assault on our Captain that would spark a wider debate across the nation about safety in football. After a Villa chance resulting in a corner, around ten minutes after kick off, Jack Grealish was making his way into position when a Birmingham City fan burst onto the pitch. Spectators watched on in confusion, followed by shock and disbelief as Paul Mitchell raced over to the 23-year-old and delivered a punch to the side of his head whilst his back was turned. The act carried enough force to knock Grealish to the ground and the offender was quickly detained by a steward. It was an incident unlike any other seen in recent modern football, since the Kirkland assault back in 2012, and football fans and fellow professional sportsmen all over the nation took to social media to condemn the act and offer praise and admiration to Jack for the remarkable way he handled the situation. Grealish kept a calm head and laughed off the pathetic attempt to take him down before dusting himself off and continuing. Later, he inflicted the sweetest revenge by firing home the winner and leaping into the awaiting arms of the chaotic away end as chants of ‘Super Jack’ rang out from the corner of St Andrews. As satisfying and rewarding as this was for the players and fans alike, it didn’t take anything away from the obvious need for serious condemnation of the disgraceful attack along with a hefty punishment for the offender. 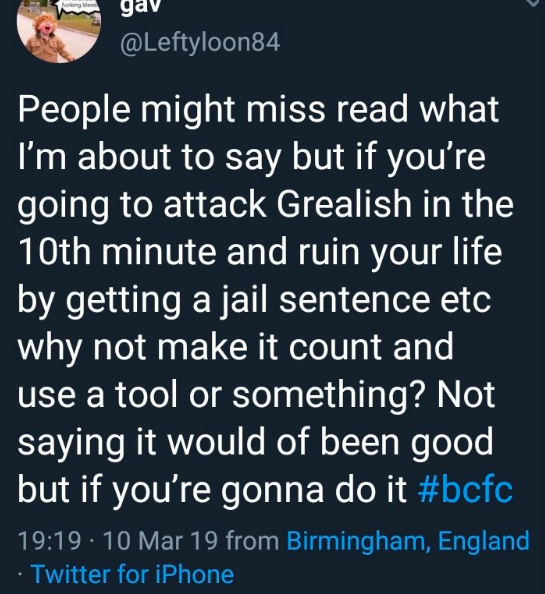 The perpetrator was arrested and the following day sentenced to 14 weeks in prison, a lifetime ban from Birmingham City Football Club, a 10 year ban from all other grounds in the country and ordered to pay £100 in compensation to Grealish. The individual is facing the consequences of his foolish actions, and though some may see the action taken as not enough considering how much worse the offence could have been – justice has been served in the eyes of the law. But it has opened up the necessary conversation of concerns over rising abuse in football, both verbal and physical, on and off the pitch as well as raising questions over matchday security and player safety. So how do we take action to protect these players? Not only as multi-million-pound assets in one of the biggest sporting industries in the world, but as human beings? This cowardly attack wasn’t even the only incident of the day surrounding the star. The fiery afternoon also saw a Birmingham City Steward man-handling Grealish as he celebrated his goal in the away end and mindless, vitriolic abuse directed towards him and his family via Twitter. Though these physical offences are thankfully rare in the modern day of our national game, the latter sadly isn’t, and it’s this frequency of online targeted abuse that is put out into the endless realm of the World Wide Web as so-called “banter”, that poses a huge question in this situation. Is this kind of venomous bile that is constantly fired out onto social media from behind a computer screen setting a tone in society that such hurtful, acerbic abuse is amusing? As awful as some of these posts directed towards players may be, there will always be Retweets and Likes pouring in and catapulting them onto numerous Twitter timelines, giving them a wider reach. Even if many who see these posts abhor them and swiftly block whichever user chose to press ‘Tweet’, others will simply see it as harmless banter and likely have a laugh over it in their group-chat before tapping Share – allowing the cycle to continue. As amazing as social media can be, the virtuality of the medium holds a dangerous power that can disillusion its users somewhat from the real world and as a result, detach them from the consequences of their words and actions. The internet is an entire world of its own and the more we engage with it, the easier it is to separate it and the things we put out into it from reality. It can be easy to forget that the followers and the numbers and the people we make jokes about are real and this has the potential to create a snowball effect of negativity and contribute to a wider issue. 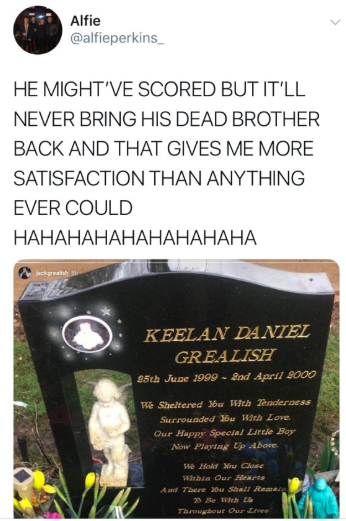 The extent of some of the jokes posted on Twitter in particular surrounding the world of football are somewhere far beyond light-hearted fun when they venture into abusive, heartless and sometimes even threatening territory. This kind of treatment is now at a point where it has become normalised, and the likes and retweets only encourage the behaviour, helping to create the outrageous misconception that it is somehow acceptable not only within the game, but also within society, to act this way. On an even further scale, it creates the illusion that those gaining this attention and kudos from their followers for the things they post on social media have their internet persona’s respected by their online community. 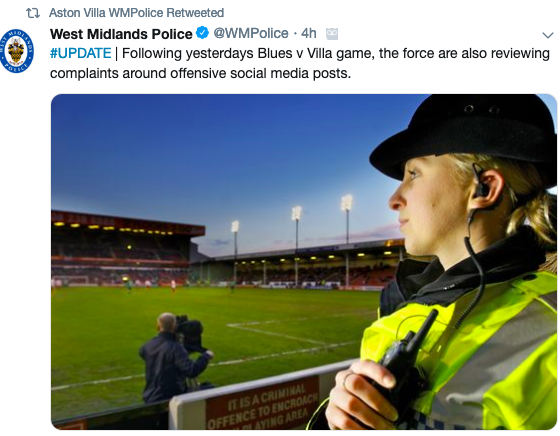 This can only contribute to the use of foul language, similar kinds of threats, malicious abuse and so-called jokes trickling onto the terraces – because such common use of these things and the amused responses that they receive online makes it seem like its appropriate. Is this belief enough to possess an individual to run onto the pitch and physically attack a player with force because he “thinks he’s a nob”? And because he sees offensive posts directed at said player every day on the internet which has given him the impression that that kind of disgusting behaviour will be applauded and maybe even that he will go down as some kind of club hero for the act? The worst part is, the individual in question was applauded and cheered by fellow supporters at St Andrews as he was removed from the pitch, blowing kisses on his way. Maybe it wasn’t some sick fantasy of becoming a hero that incited this mans actions, maybe he doesn’t even have social media accounts and it was simply a one-off, spur of the moment act from one sad, moronic individual inspired by the pent up emotions and passions of derby day. But nevertheless, the constant sharing nature of social media and easy circulation of posts that take banter a bit too far is setting a tone for modern football that none of us should want to see develop any further. Banter has always been a part of the game, and poking fun at rival players, managers and fans is usually meant to be harmless and done in good fun. But someone will always take it too far, and though it may be a minority, it’s something that needs nipping in the bud quickly in order to protect our beloved game as we know it today and most importantly, to protect the players who make it. No longer should jokes that take on an abusive or offensive nature of any kind be widely accepted and humoured in the footballing community, whether they are made and shared online or murmured in the stands. What happened to Jack Grealish on Sunday should serve as a wake-up call. 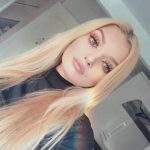 Although it may be difficult to come to a solid conclusion over what can be done in terms of preventing another attack like this or one even worse in the future, addressing the rising tone of abuse on social media and condemning the unfair defamation and vilification of players online seems like a good place to start. It is on us to end this false narrative that shameful acts like the one we saw on Sunday afternoon will earn admiration and honour from fellow fans. Football supporters have had to fight tirelessly for decades now to oppose the media and society’s defamation of our collective reputation, the last thing we need is for this stigma to be re-ignited. It is up to us as the majority to stamp out the negative environment creeping its way back into football. Social Media may have invited it back, but it also provides us with the platform to oppose it, which is something we should all be trying to come together to do. 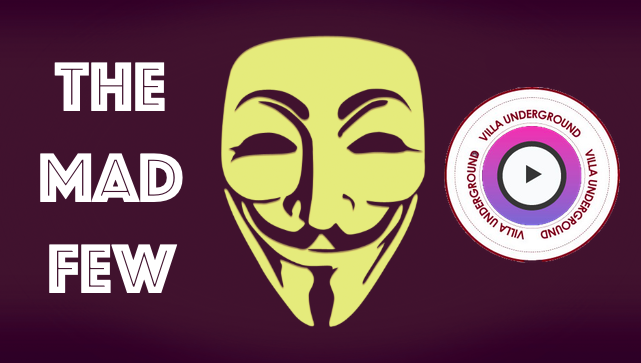 Interested in writing for The Villa Underground? 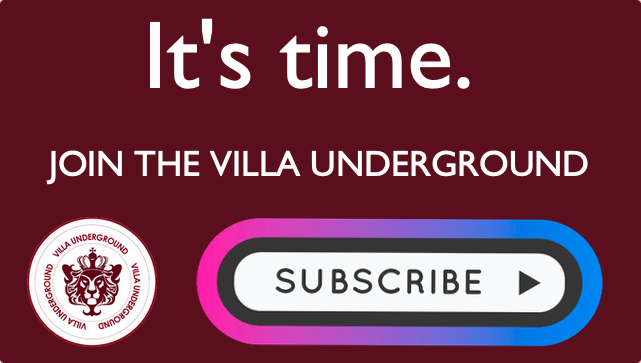 Keep The Villa Underground free for all by donating just £1. The Spark at Villa Park? Why a toxic atmosphere should be shown the red card. 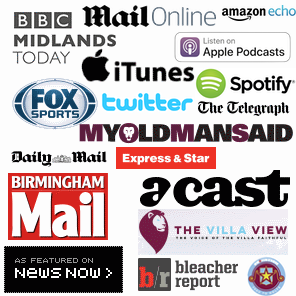 Spotlight: Aston Villa, The Media & The Steve Bruce Narrative. This was a disgraceful act but punishing a club or normal fans for the act of an individual is wrong. Presidents get assassinated despite having the best security. There is only so much a club can do to stop a nutter running on. As for some fans cheering that sadly is normal if a villa fan had run on to punch Robbie Savage in front of the Hole End they would’ve cheered too. There seems to be a continued hysteria following this event with the Birmingham Mail stirring the pot just for more clicks. Social media is an easy way for faceless cowards to attack people they couldn’t normally reach. Players usage of the likes of Twitter needs to curbed and Grealish needs to grow up and not respond to hate mail. Paul Mitchell has earned himself a prison sentence because of his stupidity which will no doubt spoil his employment prospects. Everyone thinks he’s a prat who’s ruined his life. I think the banners of ‘theres only one Paul Mitchell’ are only being used to annoy the villa fans. No doubt supporters of other teams will taunt villa supporters with the same chant. I think it’s time everyone moved on but I think this one will run and run.